If you have any problems with the site, want your video featured, or would like to make a contribution post in this thread. I sent you a PM, hit me up whenever you get the chance. Thank you. I just checked some of them and they are definitely there. Which one in particular did you not find? 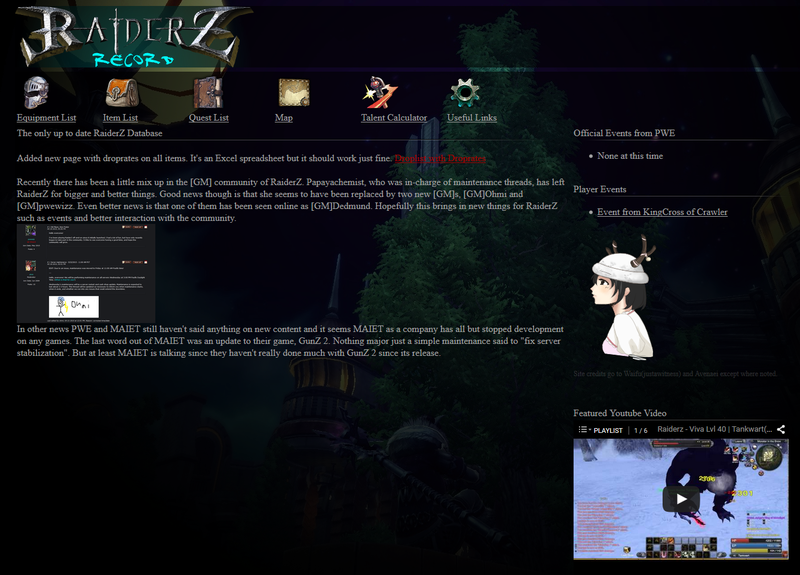 The drop rate was made by me "thesoulshaker" >> they were used using access to RaiderZ japan files. I did intend to do them for our version and also in the original forum thread i did shared the files of all the item names/drop rates and from what monster all that u had to do is merge them in one file. Now that the RaiderZ adventure is over i don't know why do you need those drops. what is the drop rate for Zygniv horn?